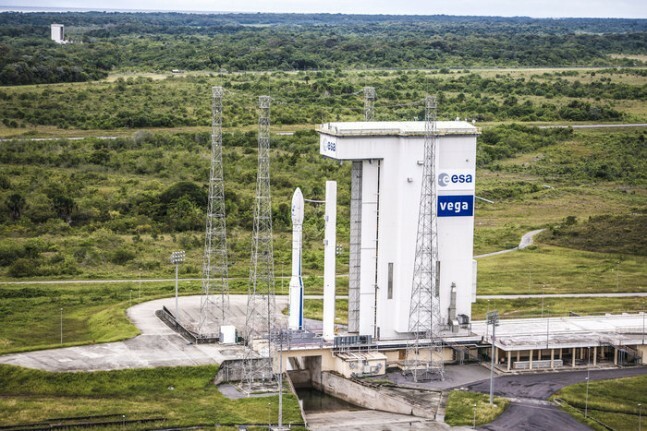 The first launch this year of Europe’s Vega rocket is planned to take flight next month, on Feb. 11, when it will loft the European Space Agency’s (ESA ) unmanned spaceplane on a suborbital flight to test reentry technologies for future space vehicles. ESA’s Intermediate eXerimental Vehicle (IXV) mission is scheduled to launch from Europe’s Spaceport located in Kourou, French Guiana. The IXV, a unique test article will test out an array of flight parameters so that ESA can began launching its own reusable craft to and from low-Earth orbit. The launch was originally scheduled to take place on Nov. 28, 2014 but safety concerns caused it to be postponed so that a more detailed analysis of the rocket’s trajectory could be conducted. The issue was solved by finding an alternate trajectory. 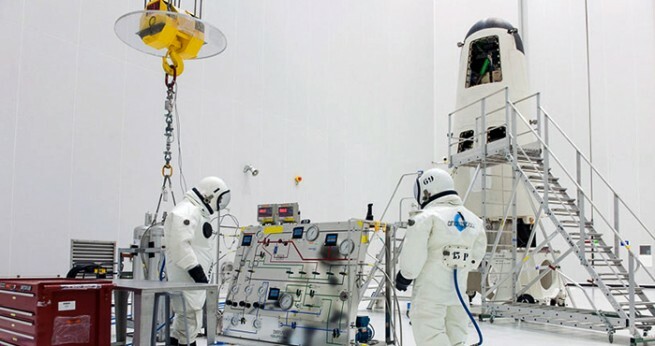 The loading of IXV’s hydrazine maneuvering propellant was performed inside the S5B hall at Europe’s Spaceport in French Guiana. On Wednesday Jan. 21, the IXV was loaded with hydrazine maneuvering propellent inside the S5B hall of the Spaceport’s large S5 payload preparation facility. The IXV spacecraft is a lifting body that weighs nearly 2 tons and is about the size of a car. It has thermal protective shells of ceramics and ablatives to resist the extreme heat of reentry. During its hypersonic and supersonic flight phases the IXV will maneuver using its thrusters and aerodynamic flaps. The IXV will be launched atop a four-stage Vega rocket inside a protective two-piece fairing. The Vega is a single-body launcher with three solid-propellant stages and a liquid propellant upper stage. The mission will last about 100 minutes. Once the Vega has reached an altitude of 198 miles (320 kilometers), the faring will open and release the IXV. The IXV will continue to coast up to an altitude of 260 miles (420 kilometers) before beginning its reentry phase. 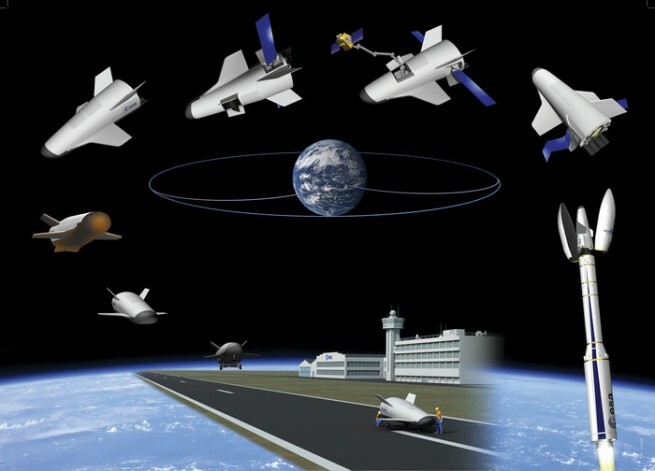 During this phase the spacecraft will record data with a large number of conventional and advanced sensors. The IXV will reach a reentry speed of 4 miles per second (7.5 km/s) at an altitude of 74 miles (120 kilometers), creating conditions similar to those of a spacecraft returning from low Earth orbit. The vehicle will glide through the atmosphere at hypersonic speeds before deploying parachutes to slow its descent for a safe splashdown in the Pacific Ocean. Four large flotation balloons will inflate after splashdown, keeping the IXV afloat until the arrival of the recovery vessel Nos Aries. The Nos Aries is currently stationed in Flamenco Island Anchorage in Panama where the crew has spent the last month testing the equipment that will be used to hoist the IXV out of the water. ESA’s recovery team will board the ship on Jan. 25 for the last leg of its journey to the recovery zone.